I have been meaning to post this cake recipe for a while and it finally made it on the blog! 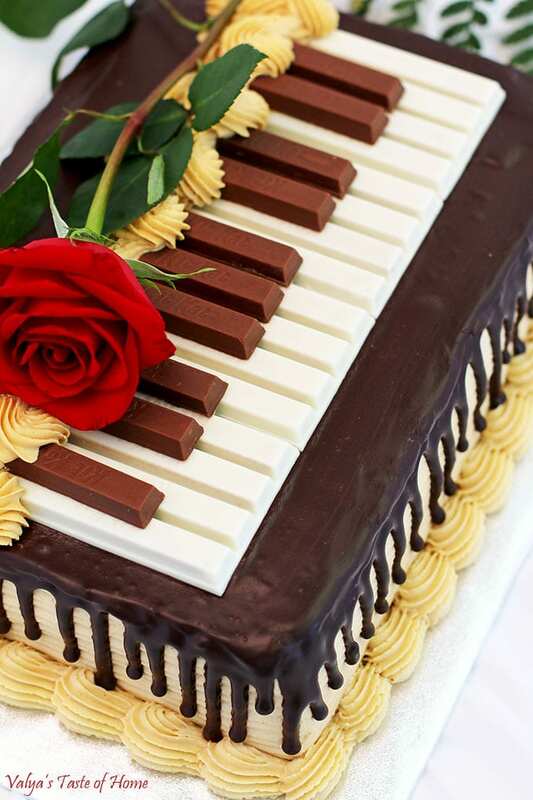 I’ve made this cake some time ago and presented it as a piano cake for my daughter’s birthday who is a piano player. I’ve made it several times since then and kept promising that I will post the recipe one day. It is much easier to make it without pauses for photos, but I’ve made it again, just for you folks! Thank you for all your patience who requested this recipe and were waiting for it. … absolutely incredible! 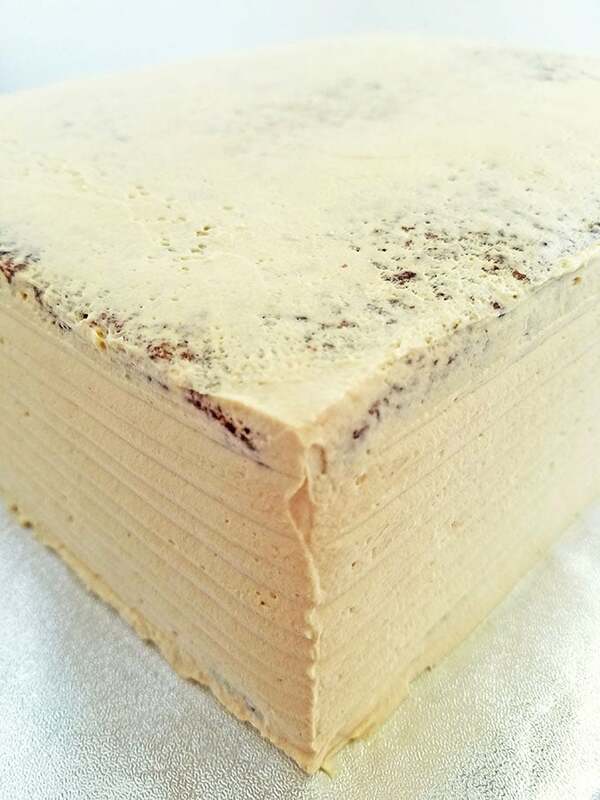 Crunchy meringue layer, super soft chocolate sponge cake, delicious and light caramel cream and the chocolate ganache all in one bite. Your mouth will rejoice! Such a wonderful combination. Every bite melts in your mouth and makes you smile. All you need is a delicious cup of Latte. I’m presenting it again in the familiar piano version as many of you have seen it, but of course, you may decorate it in any way you prefer. Enjoy! 1. Preheat the oven to 275 F (135 C). 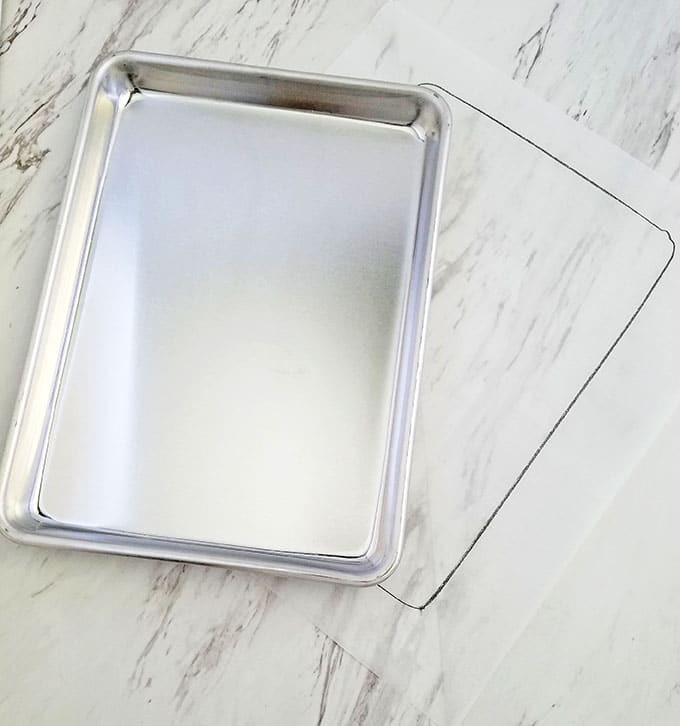 Prepare parchment paper by outlining the bottom of the 13 X 9.5 pan with a pencil. 2. Beat egg whites and baker’s sugar together on high for 15 minutes. 3. Turn the marked side of the parchment paper down. 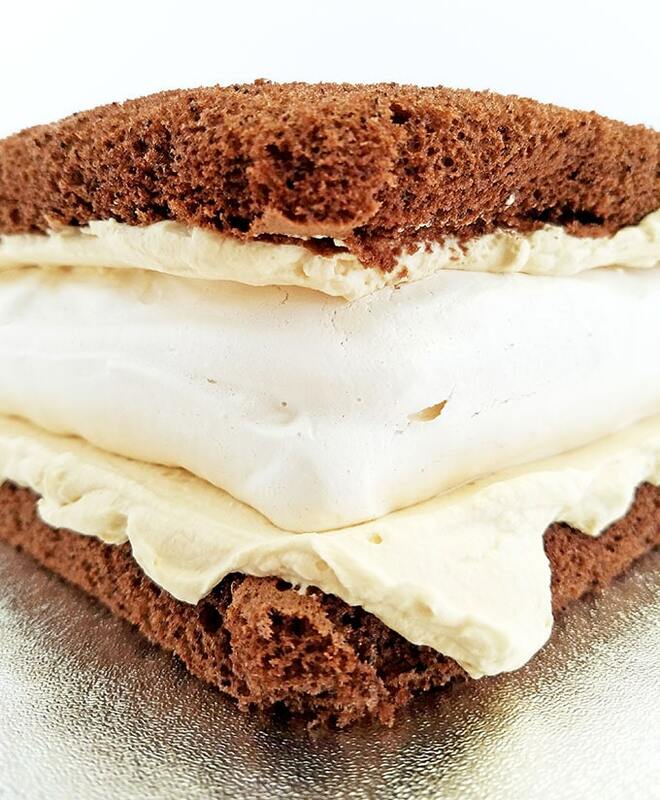 Fill a piping bag with meringue cream and pipe out a sheet cake size spread within the marking, ½ inches away from the marked line (the meringue will expand out about half an inch) and level it out the sides and the top using an angled spatula. 4. 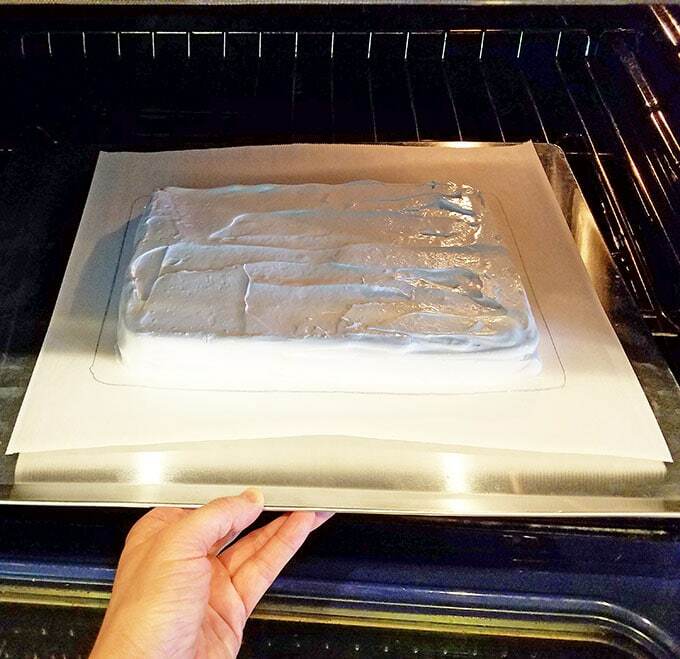 Using a baking sheet, transfer and slide the parchment with meringue onto an oven rack. 1. Preheat the oven to 350 F. Measure out flour, cocoa and sift through a fine strainer into a small bowl. Combine well with a hand whisk, and set aside until ready for use. 2. Beat eggs and sugar on high for 10 minutes. While the eggs are beating, grease pans with butter and line them with parchment paper. Add flour and cocoa mixture in two additions using a hand whisk. Carefully mix in the flour without deflating too many air bubbles. 1. 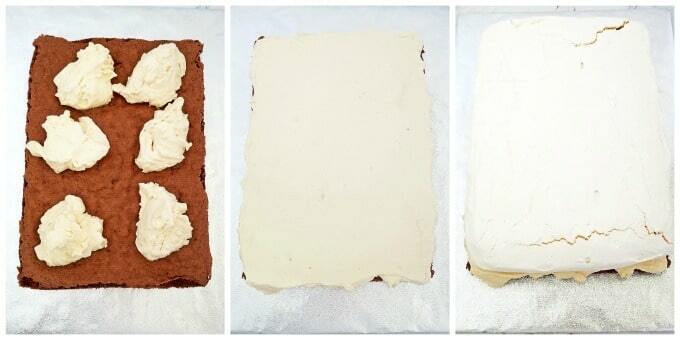 Remove one rectangular sponge cake off the parchment paper and place it onto a cake platter. Add and evenly spread out 3 cups of cream. Place meringue layer on top of the cream. 2. 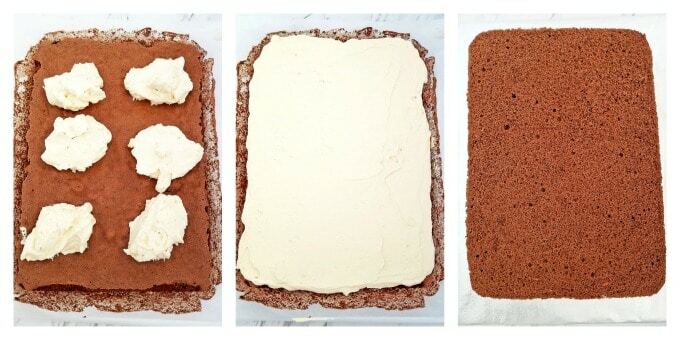 Spread out another 3 cups of cream onto the second rectangular sponge cake (on the side) and even it out. Holding by the sides of the parchment paper flip the sponge cake with cream down, so the cream is underneath, and place it over the meringue layer. Then peel off the parchment paper from the cake sponge. 3. Fill a piping bag with 2 cups of cream and refrigerate until ready to use. Use the rest of the cream to coat the sides. Refrigerate the cake for about 30 minutes or so while you make and cool the ganache to warm. Pipe the cream around the bottom border of the cake. Pour 1/3 of the cooled ganache into a Ziploc bag. 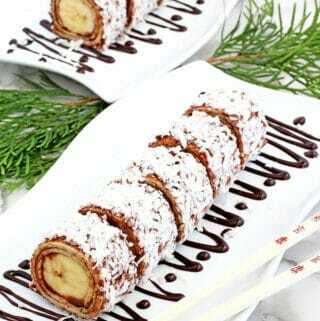 First, decorate the sides in a drip design. Then pour the rest of the ganache over top of the cake. Using an angled spatula spread it out evenly. Refrigerate for 10 minutes. 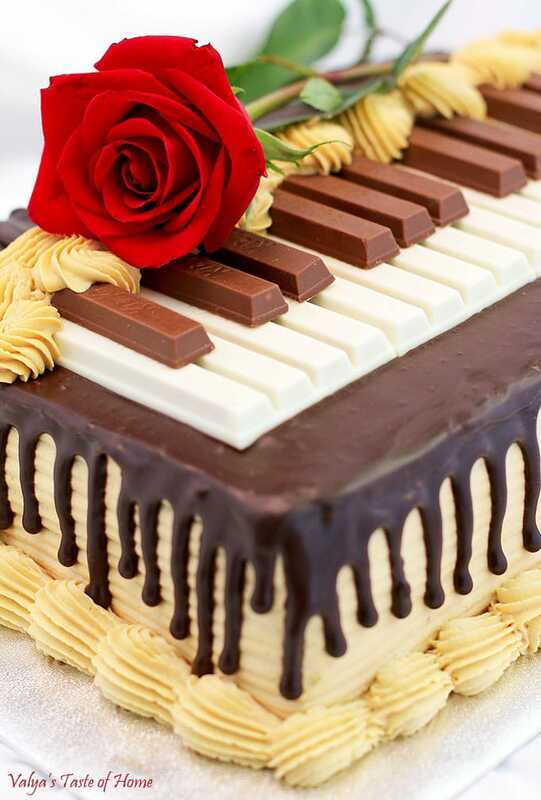 Place white Kit-Kat chocolate bars on top of the cake and trim milk chocolate Kit-Kat chocolate bars and place them on the white towards one end of the white chocolate to create the piano look. Pipe any design you like to cover the trimmed chocolate edges. Refrigerate for about 6 hours before serving. 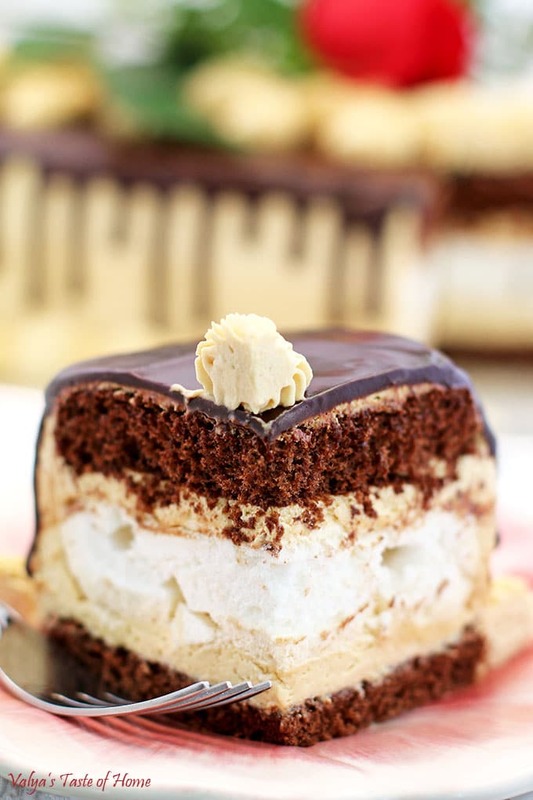 Crunchy meringue layer, super soft chocolate sponge cake, delicious and light caramel cream and the chocolate ganache all in one bite. 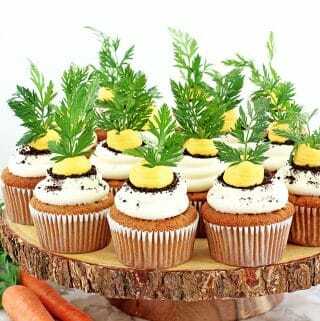 Your mouth will rejoice! Such a wonderful combination. 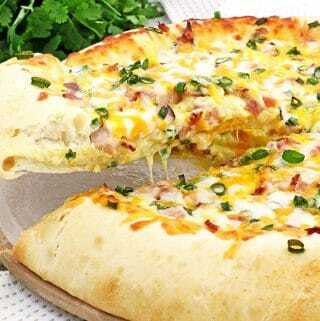 Every bite melts in your mouth and makes you smile. All you need is a delicious cup of Latte. This cake is incredible! Preheat the oven to 275 F (135 C).Prepare parchment paper by outlining the bottom of the pan with a pencil. 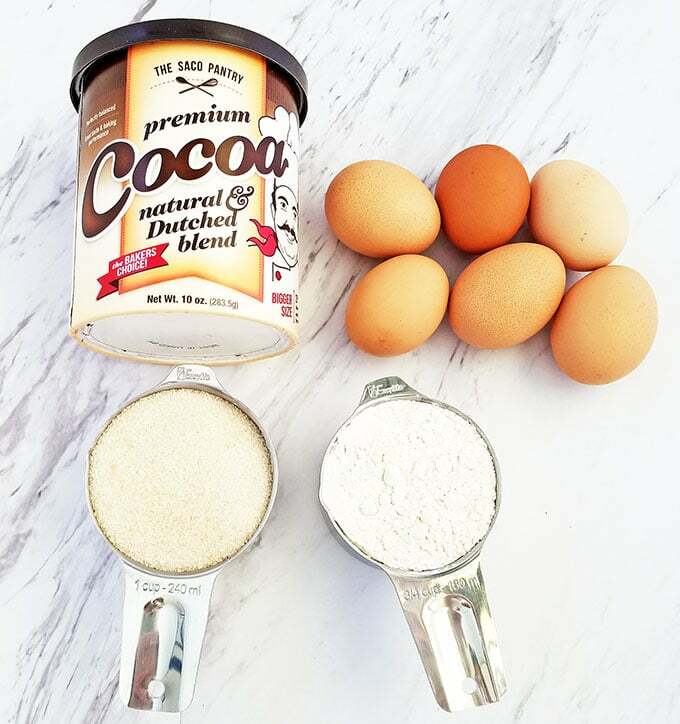 Beat egg whites and baker's sugar together on high for 15 minutes. Turn the marked side of the parchment paper down. 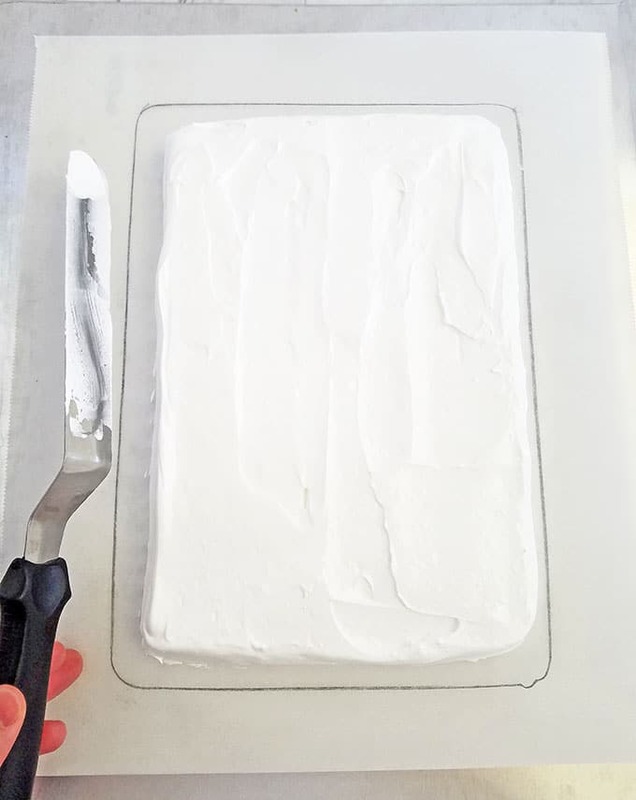 Fill a piping bag with meringue cream and pipe out a sheet cake size spread within the marking, ½ inches away from the marked line (the meringue will expand out about half an inch) and level it out the sides and the top using an angled spatula. 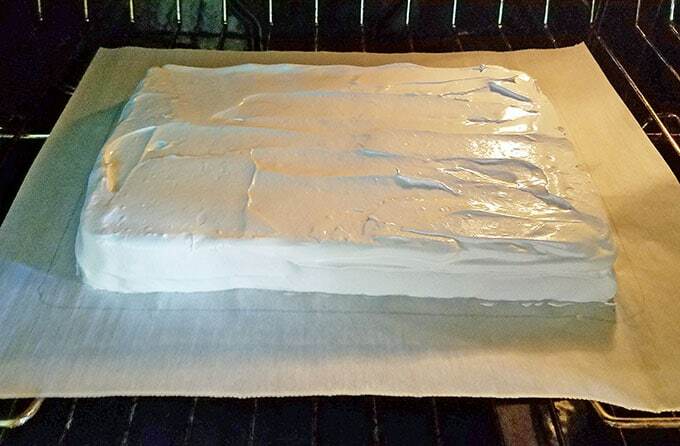 Using a baking sheet, transfer and slide the parchment with meringue onto an oven rack. Preheat the oven to 350 F. Measure out flour, cocoa and sift through a fine strainer into a small bowl. Combine well with a hand whisk, and set aside until ready for use. 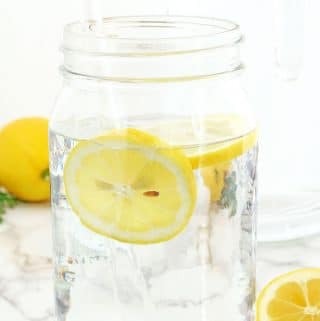 Beat eggs and sugar on high for 10 minutes. While the eggs are beating, grease pans with butter and line them with parchment paper. 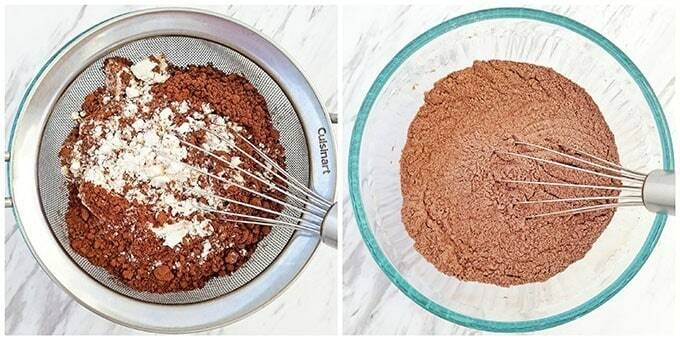 Add flour and cocoa mixture in two additions using a hand whisk. Carefully mix in the flour without deflating too many air bubbles. 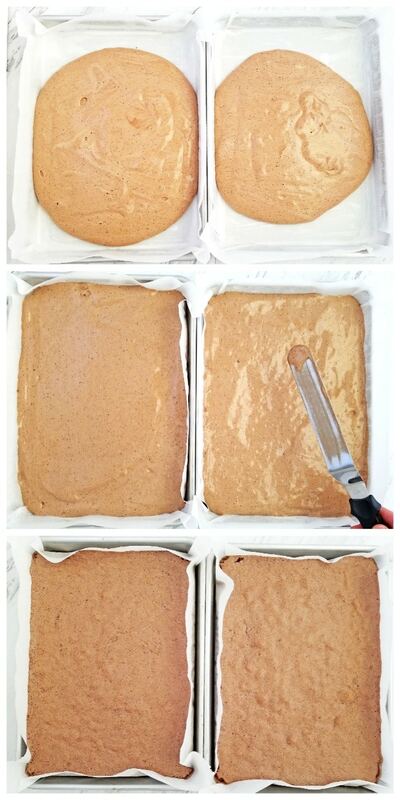 Remove one rectangular sponge cake off the parchment paper and place it onto a cake platter. Add and evenly spread out 3 cups of cream. Place meringue layer on top of the cream. 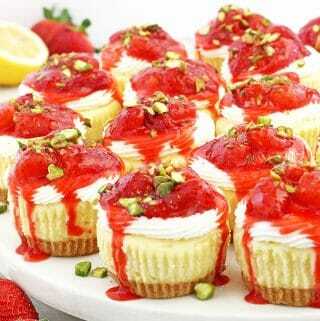 Spread out another 3 cups of cream onto the second rectangular sponge cake (on the side) and even it out. Holding by the sides of the parchment paper flip the sponge cake with cream down, so the cream is underneath, and place it over the meringue layer. Then peel off the parchment paper from the cake sponge. 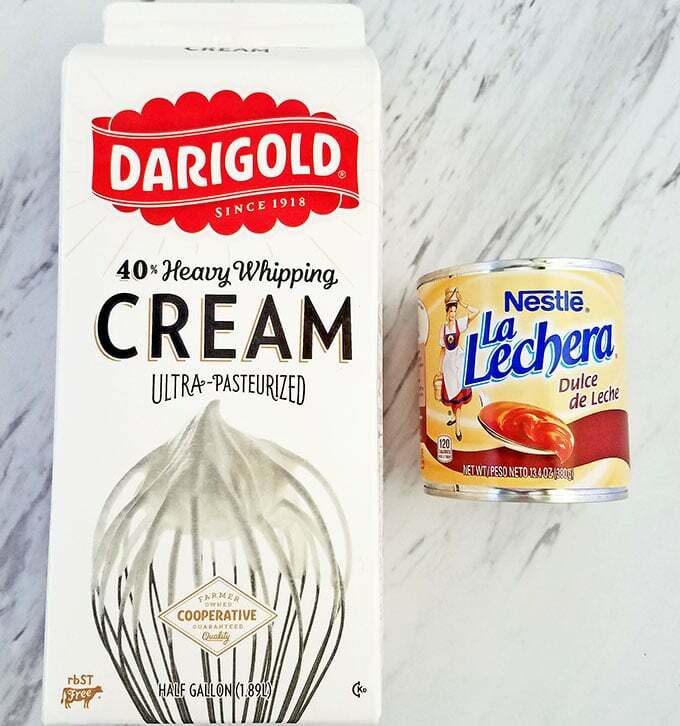 Fill a piping bag with 2 cups of cream and refrigerate until ready to use. Use the rest of the cream to coat the sides. Refrigerate the cake for about 30 minutes or so while you make and cool the ganache to warm. If you make this Chocolate Meringue Cake Recipe (Piano Version) please share a picture with me on Snapchat, Facebook, Instagram or Pinterest. Tag with #valyastasteofhome. I’d love to see your creations! Looking for more cakes? Check out dessert category. Wow!! 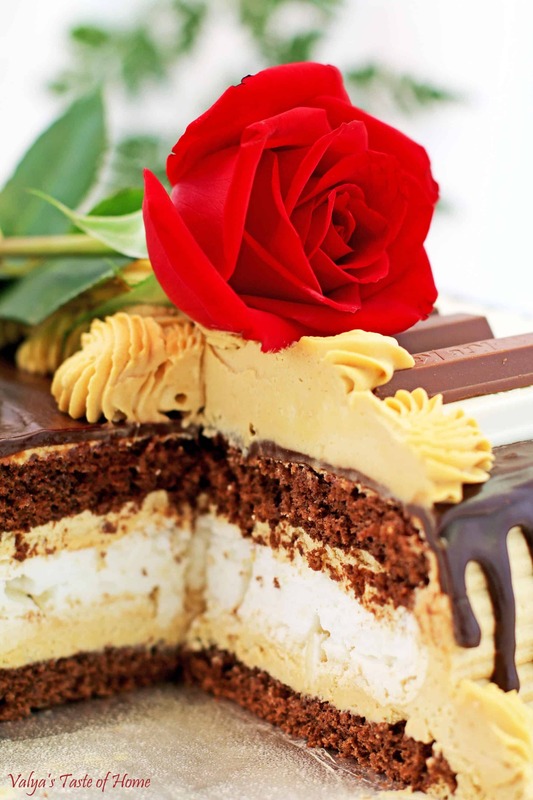 !Such a beautiful cake! You’re so talented Valya. Thank you for sharing it with us. Absolutely gorgeous!!! Love it! I’ll attempt to make it. 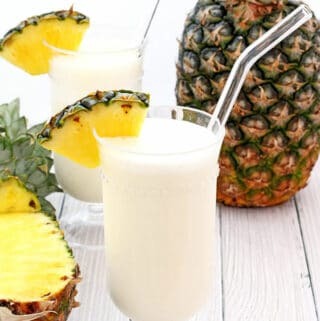 Thanks for the recipe Valya. Thank you so much! Let me know how you like it if you ever get to make it. Chance Does the cream melt the meringue? Thanks Kristina! No, this cream does not melt the meringue layer (at least for 3 – 4 days after it was made from my experience). Thank you kindly Marina! ? Never seen a cake like this, but it looks gorgeous! Great job! Love it! It tastes really good too. Thanks for stopping by Mira ? Thank you Irina! It sure is tasty and a big hit everywhere it goes ? On step 6, it says bake the meringue for 7 minutes before turning down the oven temperature to 220 degree F. What is the initial temperature before it is turned down? I tried to look all over the post and recipe but couldn’t find any. Otherwise, the cake looks so gorgeous and I’ll have to try it soon! Wow!!! What a beauty!!! Great job!!! Cake sure looks amazing! Did you double the recipe to get this big of a cake? made this cake this sunday. it was very delicious even though my meringue became soft, thinking it was the raw cane sugar i used? planning to try it again with different sugar. 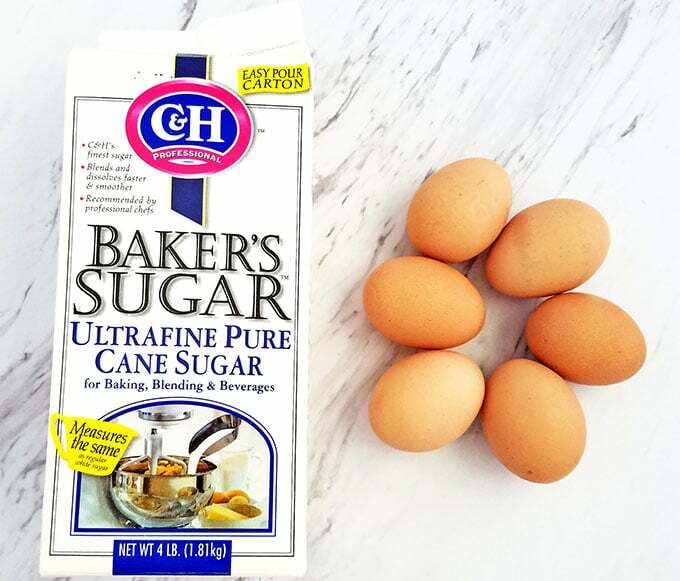 The ingredient list for the batter has two lines for sugar, but none for flour. Which amount is for the flour? Hi Barbara. I just checked the recipe and everything looks correct. The second line in the batter ingredients indicates 1 cup organic sugar and the third line 3/4 cup organic flour. How far in advance can this cake be made and how would you store it? Thank you. If you like the meringue crunchy inside the cake, then the cake needs to be made a day ahead of time. Keep the cake refrigerated. I’ve made this cake in round shape multiple times and it was great. No need to adjust anything. Thanks! I’m debating between this cake and boccone dolce. I don’t know which one to pick. Which one is better and easier in your opinion? In my opinion Boccone Dolce is easier to make it has the same frosting as this one and loaded with fruits. This one has chocolate sponges and ganache on top of meringue and caramel frosting which makes this cake rich and delicate. They are both very delicious cakes though and different in taste. Having hard time deciding? Just make both of them! ? Hi Valya, it says you did not double the portions. Your picture shows 12 egg yolks? is it 12 egg whites for the meringue or 6? 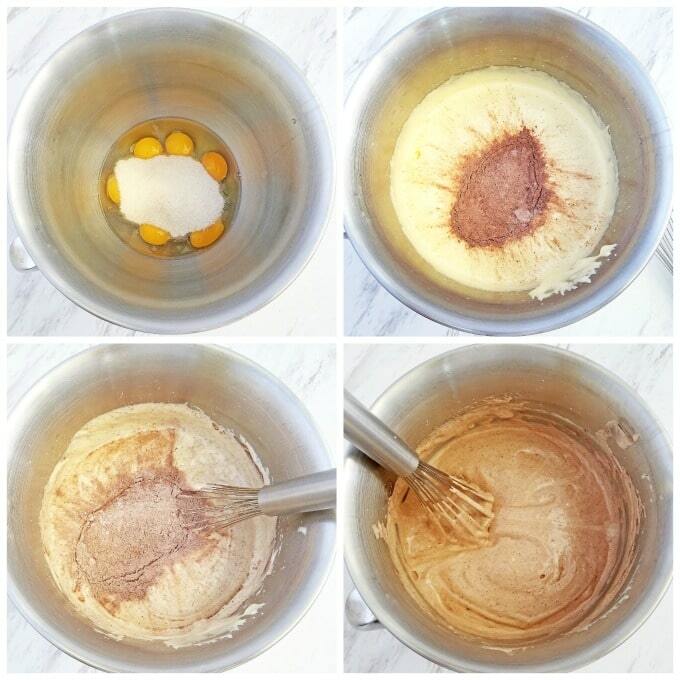 I think I was making 2 cakes that time and took a photo of all 12 egg yolks. You only need 6 egg whites for this cake. I’m sorry for the confusion, and hope this clarifies. The cake looks amazing!!! I made it today and it came out better then I thought it would. But i think I put too much sugar because it came out pretty sweet. Thank you sharing this cake:) God bless you!